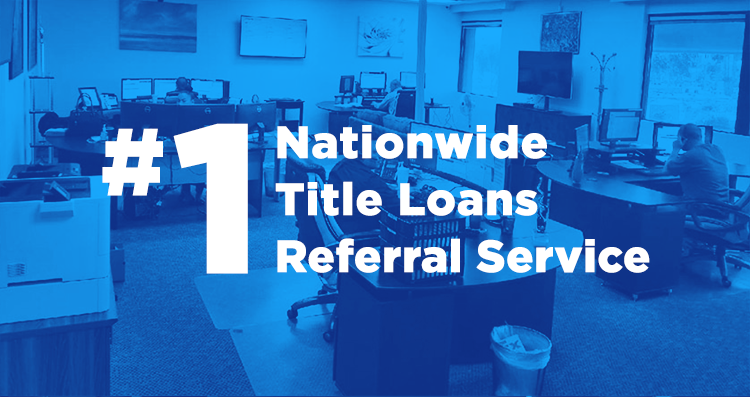 Max Cash Title Loans works with title loan lenders nationwide! We want to assist you with finding the information you need quickly and easily so that you don’t waste ANY time with your quest for money using a car title loan. Did you know that you could spend 20 to 45 minutes on the phone with a lender only to be rejected or not agree to their terms? Try doing that over and over and you will clearly see why WITH JUST ONE CALL TO US, and in just a few minutes, we can narrow down the lenders which should work for you AND in most cases, handle the process for you and best of all... our service is free. Yes, free. We have found the best way is to look to see what other people have funded for using the same car as you. To do this, we post every few months a list of car make, model, and city, state along with how much money someone received. Take into account that this is only a guide but will give you a good idea. There are MANY factors that make up these numbers so don’t be discouraged if it is not what you wanted. Maybe the person who got that amount lived in a state that limits the amount of the loan or has mileage higher than your vehicle. Maybe that person had lower income and could not afford a higher loan. Use this link to find out the latest list but on each page you will see prior lists in case your car was on another one from before. The older the list the more likely the amount will be far off. Not all states allow vehicle title loans or even a type of a loan you can get if you used your car as security against the loan. This is a great time saver and will save you endless calls only to find out what you can read right here. Don’t worry, we update this list all the time so you can read what is legal right now. Car title loans are not registration loans. Registration loans are very hard to find and usually for very small amounts. So this list is just a list of car title loan operating states. EDUCATE YOURSELF OF THE PROCESS BEFORE STARTING OR JUST LET US HANDLE THE PROCESS FOR YOU. Understanding how your payments are structured. A sample loan contract. Not all companies are the same but this is a typical one. How you can get your money. How to avoid losing your car in this process. TMG (which stands for Tradition Media Group) and Max Cash Title Loans is the same company however the public would most probably not use a company without the words “title loans” in their name. TMG Loan Processing in 2016 and 2017 has the highest rank on Consumer Affairs for customer satisfaction and that’s above even the direct lenders themselves. We have helped get funded close to 9000 customers to date and that numbers grow by the hundreds weekly (and if we lucky and more people hear about us, thousands). Because we are not the direct lender, that means we are not controlled by their sales pitches, their processes or worse, and we will tell you what you need to know beforehand. We know that once you make a single phone call and start a process it takes time and the usual procedure is to make you submit a bunch of documents and personal information only to end up with less than what you wanted or a rate which you simply cannot live with BUT because you needed the money quickly you agreed. Kind of puts you at a major disadvantage and WE take that away from the very beginning of your 1st contact with us. With MULTIPLE lenders at our disposal and being the largest independent title loan processor (broker), we can tell you your options without a sales pitch and without going through a bunch of wasted time. Additionally, we care a great deal about your privacy! Your information is secured and safe on highly encrypted servers and we do not share your information without your expressed permission. We are licensed. We are bonded. We are regulated and we a legitimate corporation. Absolutely nothing. More importantly our costs are not only paid by the lender but they do not add our costs to your loan so when we say free…it’s free. Why does a lender do this and when did this start? We’ll they have to advertise somehow right? They pay per click in the thousands of dollars on the search engines, they make radio and TV spots and so much more. 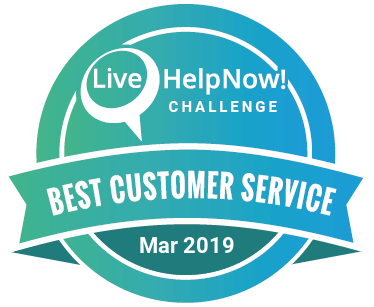 In the end, we are the least expensive way to get quality customers and they know when they (meaning you) went through us, we have already done all the hard work and their staff didn’t need to. The customer is ready or near ready to fund and at this point they don’t have to fish for clients. At the same time we are powerful and a force that they will make exceptions for our customers. After all, when you work with a company that has given their prospective new customers a 4 ¾ star service, the relationship is off to a great start from the first contact. Lose us and they lose a lot of loans and they don’t make money if they don’t loan it out so we can ask for things on your behalf and most of the time, if legal, get it where you would not have that power. Join the other thousands of people and give us a stronger voice! Our customers let us know. When you do business with us you will get to know our team which has been with us for some time. Our team is made up with multiple people and we actually have 4 brothers who work here (two different families) and a mother in law and daughter in law and a few other best friends. Our family wants you to be with us. We talk like normal people. We listen. You have our cell numbers so you can text us, our direct lines, and more. Our customers tell us about the phones calls they had or the experiences they have with a lender which we matched and helped them with and if we start getting bad news… goodbye lender and we assist you if possible to get a better company to work with you. We treat you like family. They treat you like a number. So if we match you with a lender and not one which you may have heard of, then trust us, it’s for a very good reason and although we can’t tell you who said what, if they don’t work with us, then it’s for a good reason. If they SHOULD work with us and they haven’t before, then they need to contact us and let us investigate them and see if our VIP customers (you) should use them. We are open 7 days a week. We open very early and stay way past normal late hours. We know that you may need to get help at anytime and you need answers right away. Sometimes our phones are busy and you may be on hold for a few minutes while others we pick up the phone in seconds. We don’t rush our calls or cherry pick. You tell us your needs and we use our power and information to tell you if it is possible to get a loan and what you need even when the lenders themselves maybe closed. Here at Max Cash Title Loans we created our business around you to give you a better option for your car title loan needs. We have re-defined the lending process and made it much easier for the you to get your loan. We take the guess work out of who really is a quality car title loan lender. So fill out the title loan online form you will see on this site or call us or even text us (Text us at 855-561-5626) and we will find the best in your area.2 You will talk with one of our family members directly. If it’s possible, you will know and not waste a moment of your time. Max Cash Title Loans has simplified the process of getting a title loan nationwide. We have done the research and hard work for you and have found the better lenders with the best title loans. Use our network and let us prove to you that getting a title loan through Max Cash Title Loans is the better option! Click here to see how much you can get for a title loan on your car!